A new custom-designed PET bottle from RPC Containers Llantrisant is being used to ensure ultimate on-shelf impact for the new premium Wonder Wheels car care range from Tetrosyl. 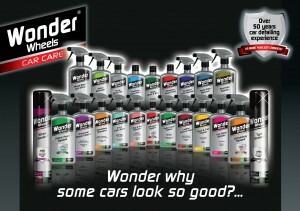 Wonder Wheels is fast becoming one of Tetrosyl’s leading brand names and the consumers’ choice for wheel cleaning and enhancement, having won the prestigious Auto Express Product Honours Award for wheel cleaning 13 times.Products in the new Wonder Wheels car care range have been devised by Tetrosyl’s in-house technologists, carefully fusing traditional ingredients with the company’s unique patented advancements in technology to create what is claimed to be the finest automotive finishing range available today. As such, Tetrosyl wanted a bespoke pack design that conveyed the uniqueness and high quality of the various products. The 500ml bottle is finished in a striking silver pigment and the rounded shoulder design maximises on-shelf presence. This is further enhanced by large adhesive labels with strong graphics and blocks of colour that distinguish the many variants in the range. The lightweight bottles and large surface area also ensure ease of handling for maximum consumer convenience.The neck can take either a flip top cap or trigger spray depending on product dispensing requirements. 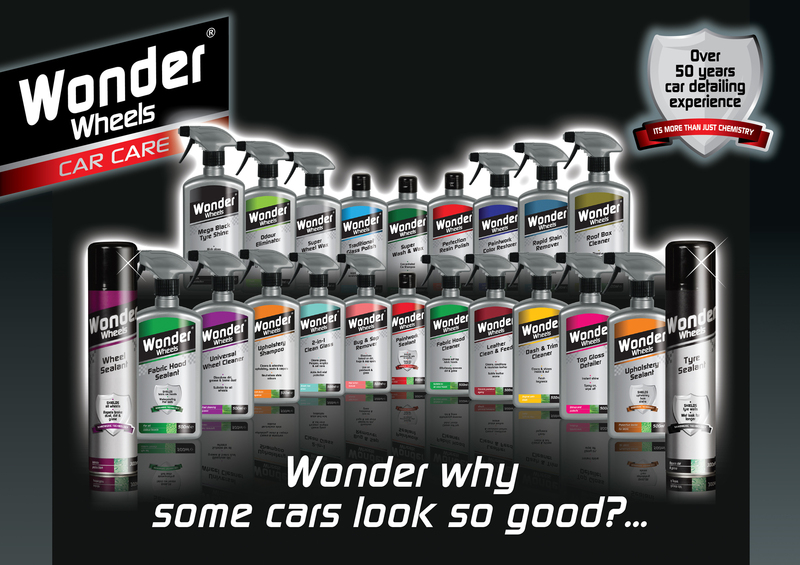 “Wonder Wheels is an exceptional brand and therefore worthy of its own unique bottle,” explains Sarah Taylor, Tetrosyl’s Valeting Product Manager.